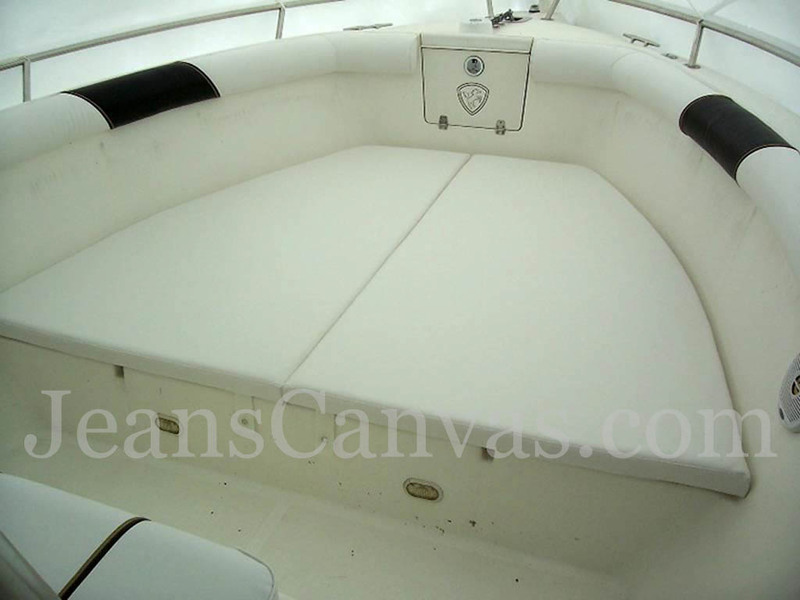 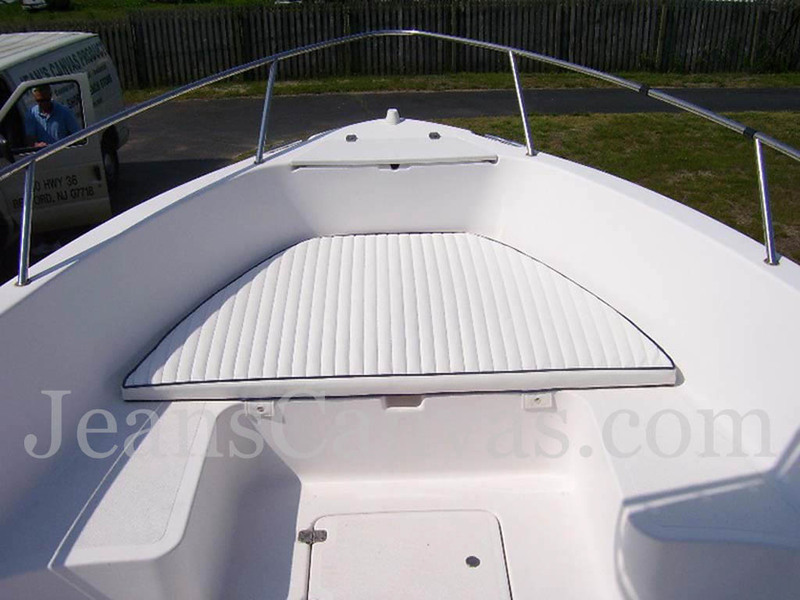 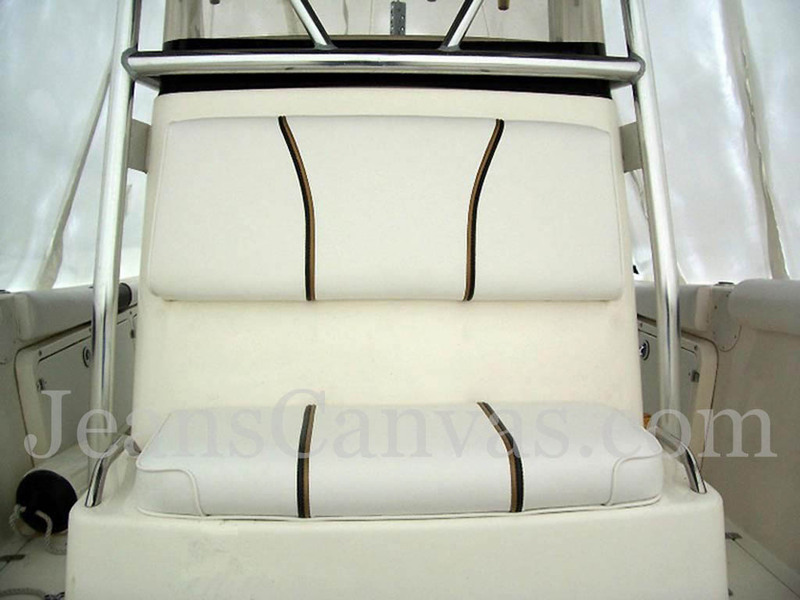 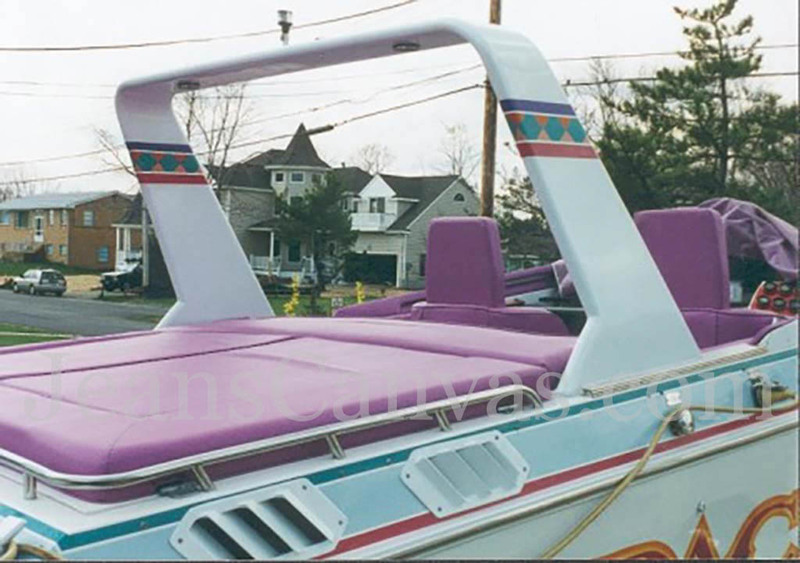 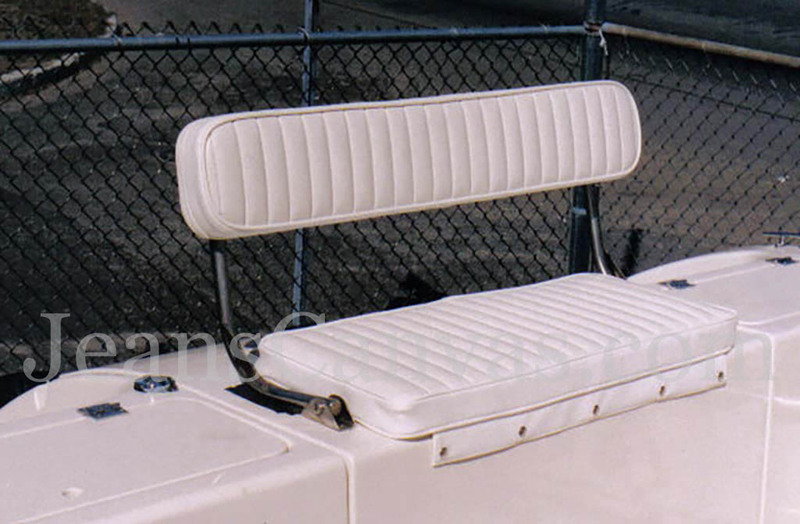 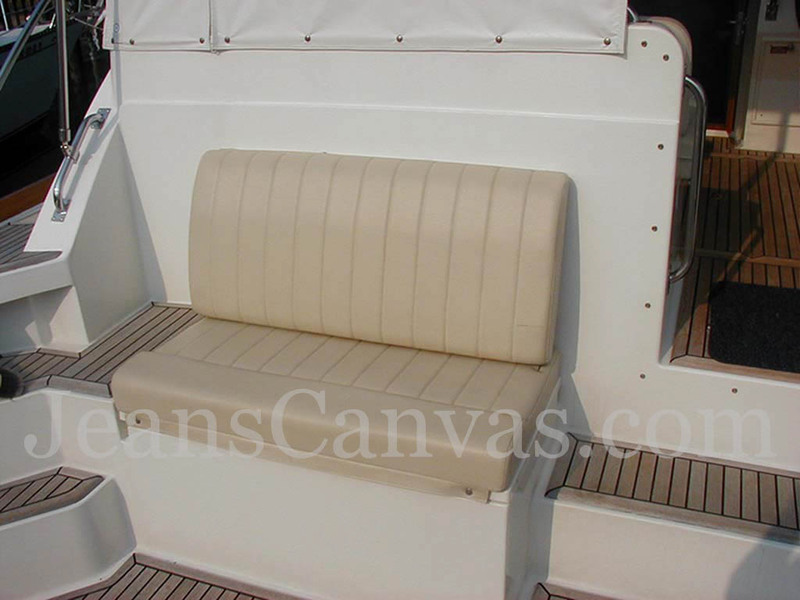 Protect your investment and beautify your boat with our custom Marine Cushions and Upholstery. 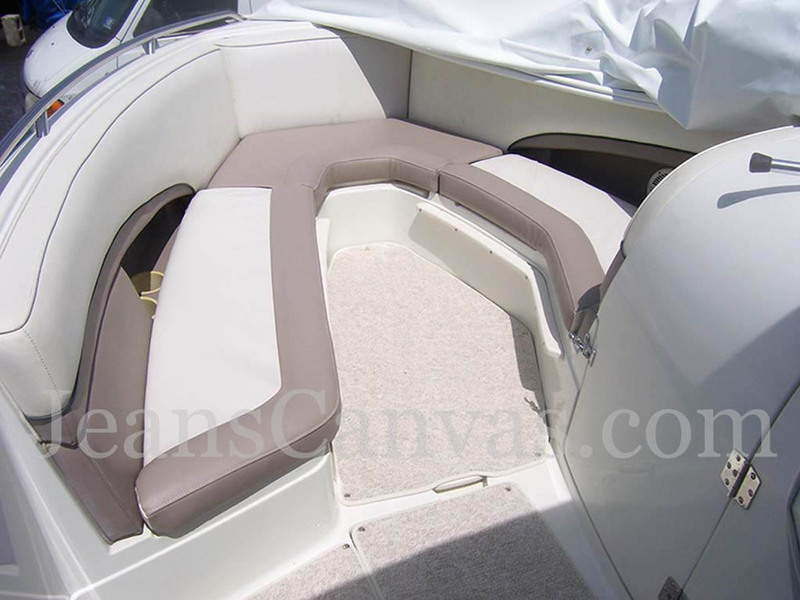 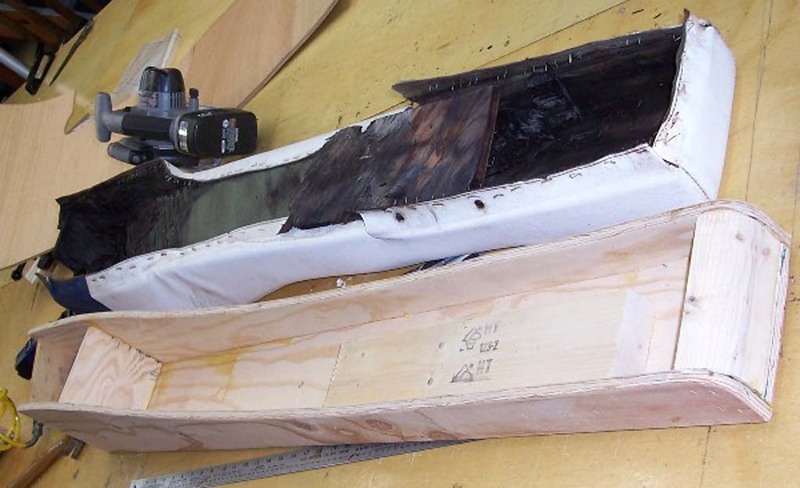 We will send our expert technicians to your slip to design a perfect solution to help resolve your cushion and upholstery issues – you can also trailer your boat to us – contact us to get started! 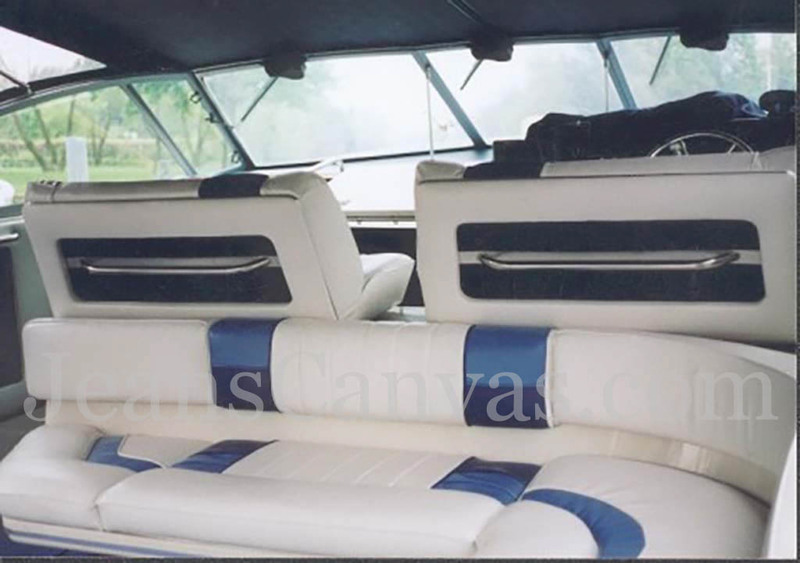 This boat was fully outfitted with custom cushions. 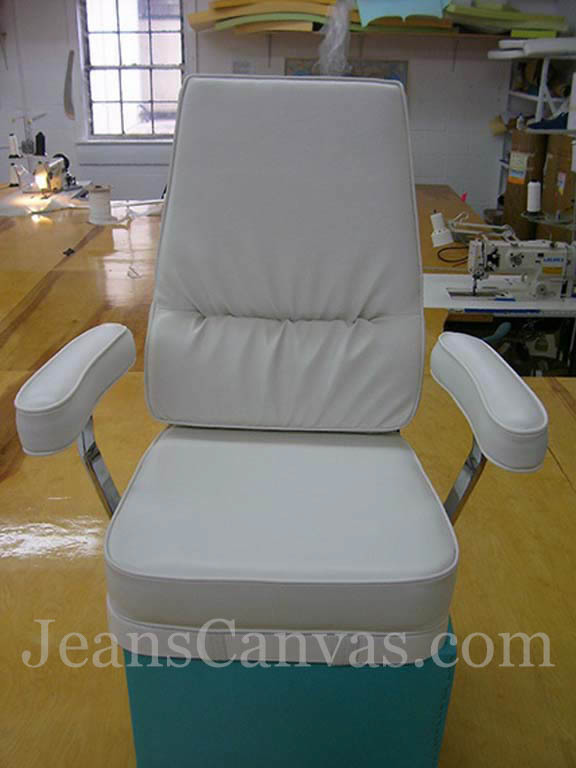 Jean’s Canvas removed, custom fabricated and reinstalled the entire compliment of cushions for this project. 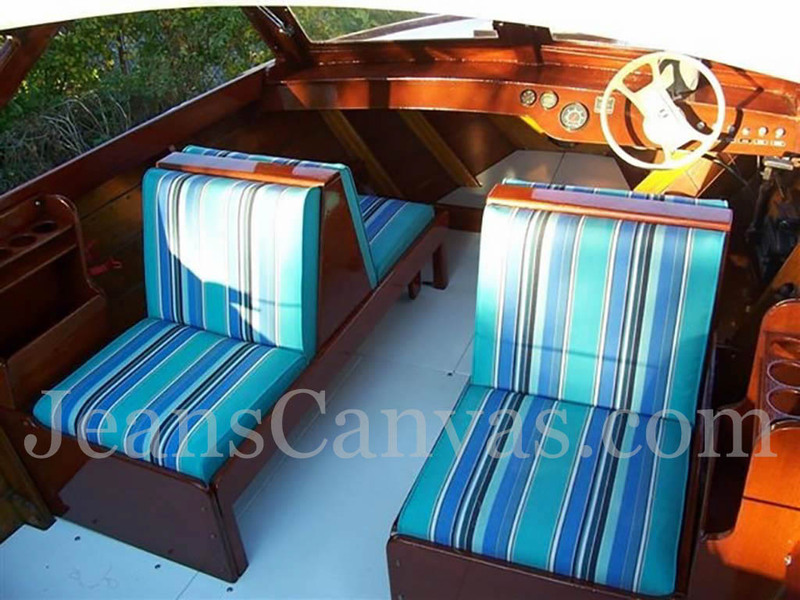 Jean's Canvas Products can design & fabricate complex cushions and furniture for your home, office, restaurant, hospital, gym, school, waiting room, RV, boat, airplane and jet ski. 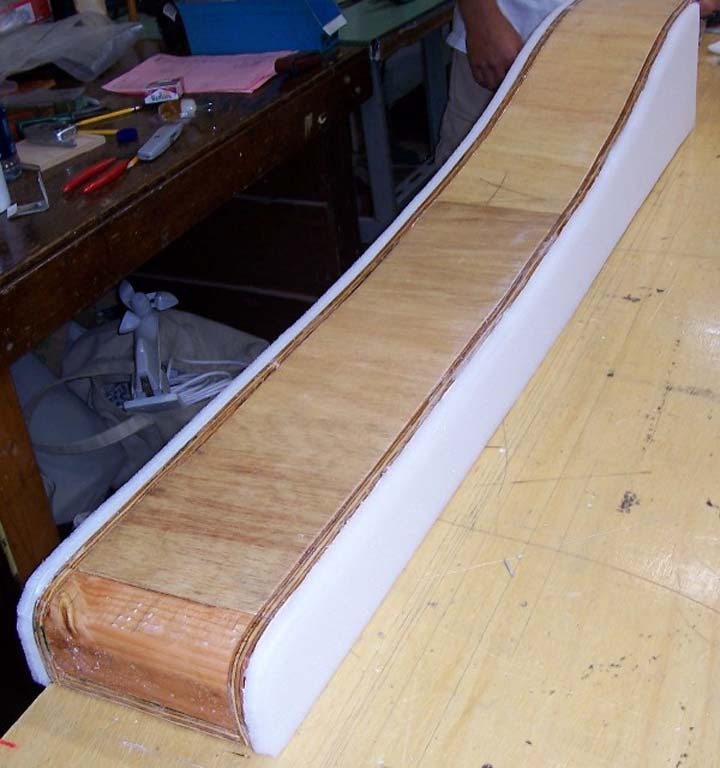 Our fully supplied workshop has the ability to work with A/C plywood, marine plywood, acuma plywood, flex board, starboard and polyethylene. 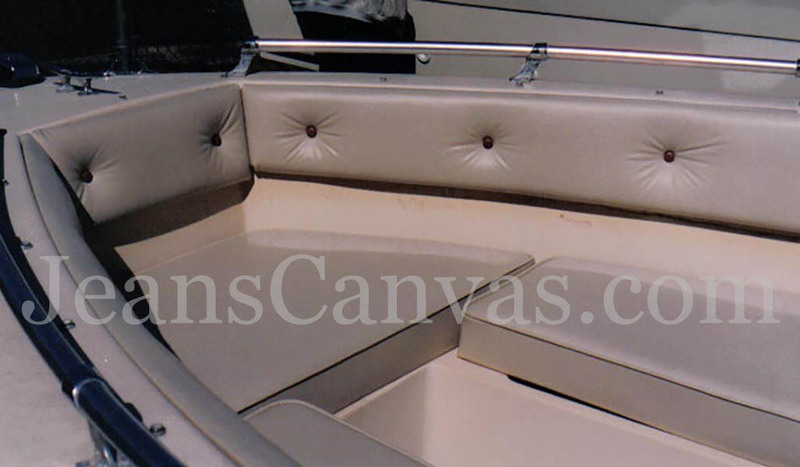 We also work with a variety of adhesives, glues and cements, mostly 3M products such as 4200, 5200, and 810. 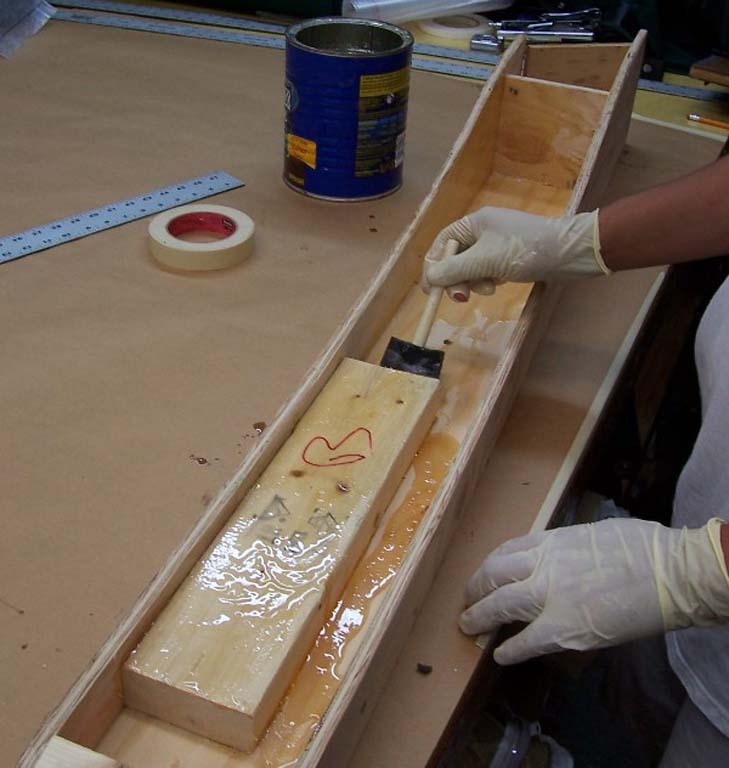 In addition we work with polyester & epoxies mostly for sealing wood surfaces from water migration and intrusion (West System, System 3 and MAS). 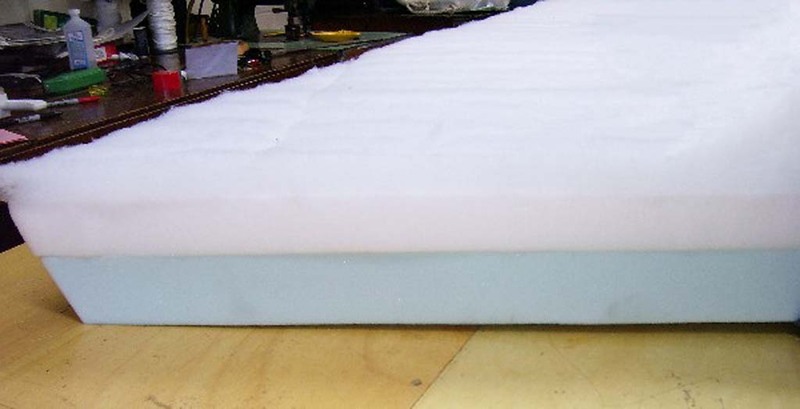 Our foams have different weights and densities, such as Drain Dry, Eva-Dry, closed cell foam, and Dacron padding. 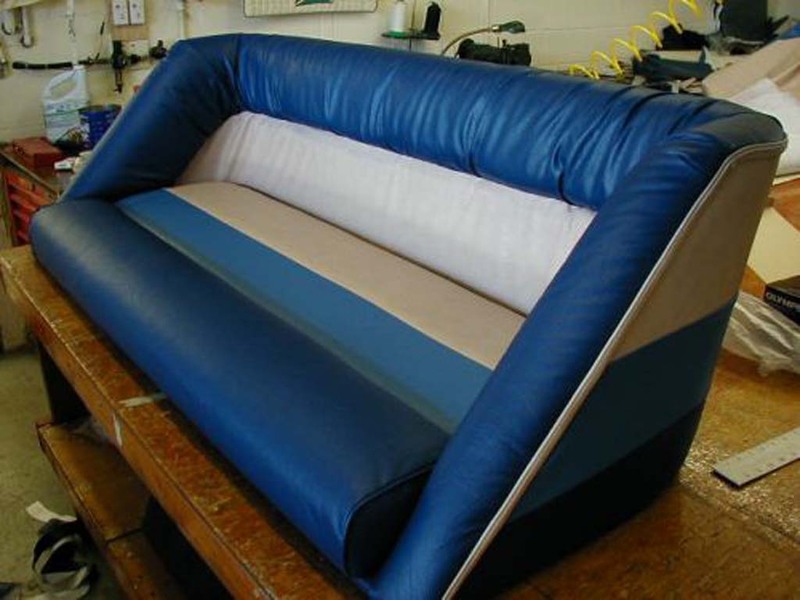 We stock a large selection of vinyl and fabric to create custom creations for residential, commercial, marine and hospitality applications. 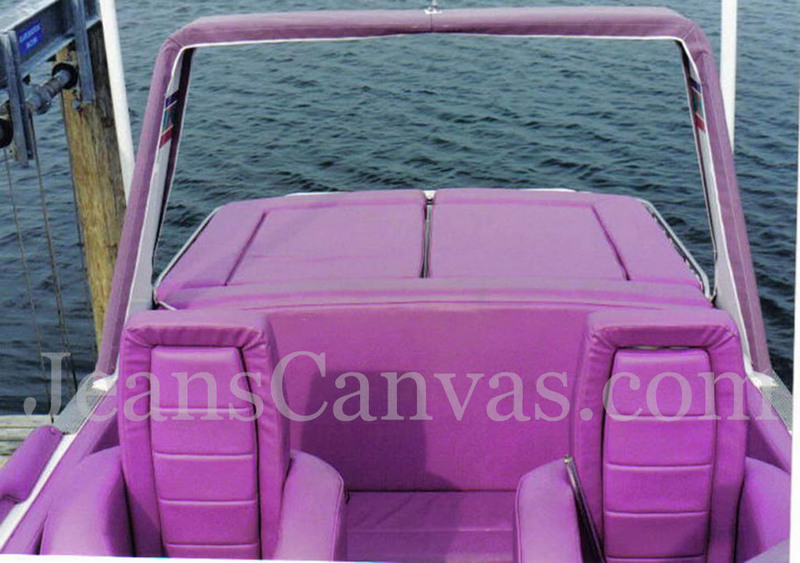 Our vinyl's and fabrics include but are not limited to; Sunbrella, Ultra Suede, Ultra Leather, Ship to Shore and Argonaut. 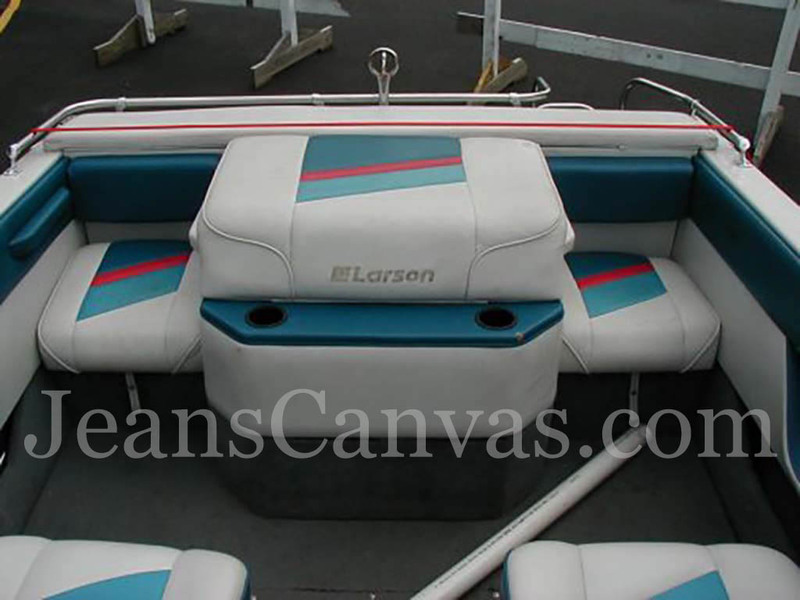 Jean's Canvas fabricates cushions for all areas of your boat, RV, airplane, truck or car. 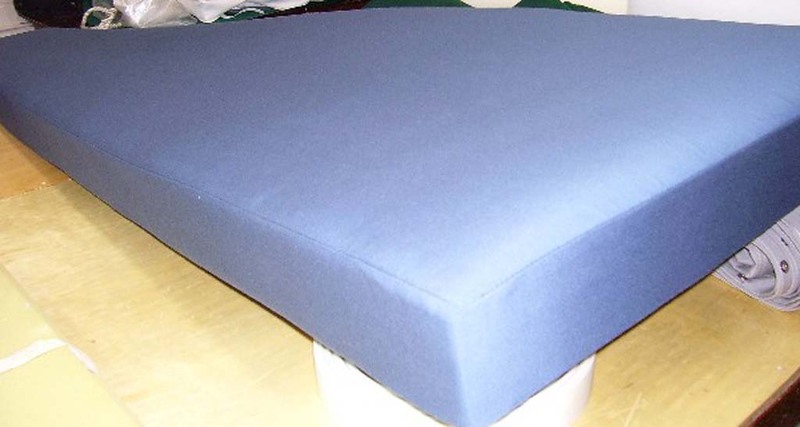 You can bring your cushions by our shop anytime and we will re-do them for you to pick-up, or we will expertly install them for you as well. 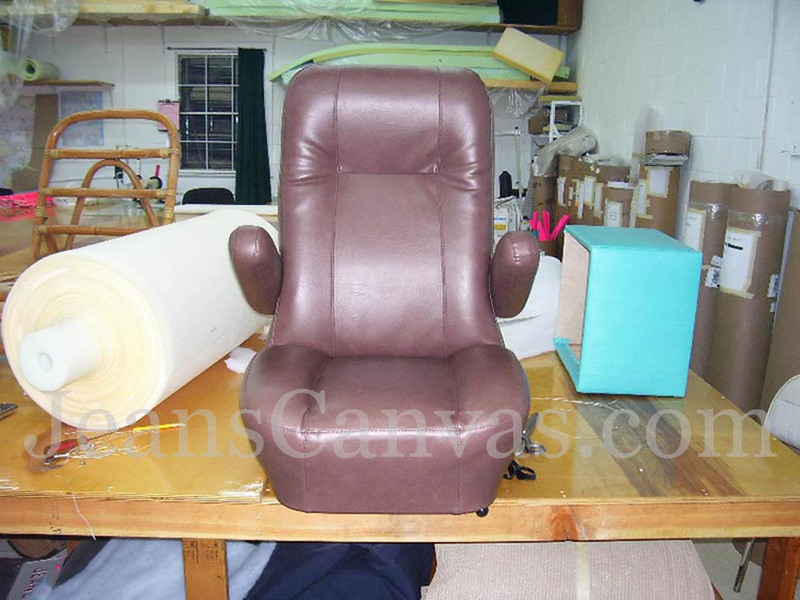 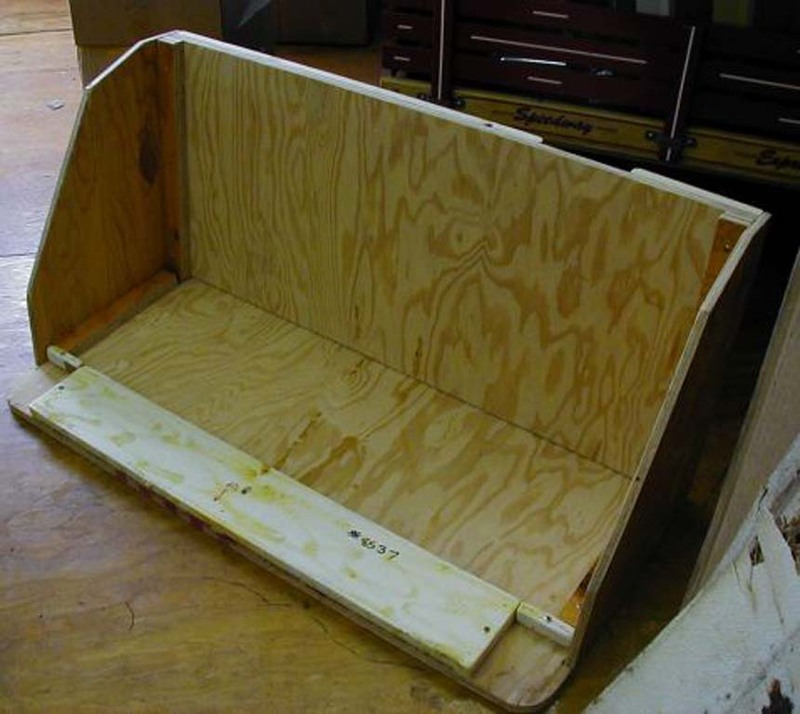 Jean's Canvas Products has a full service woodworking and metal working shop. 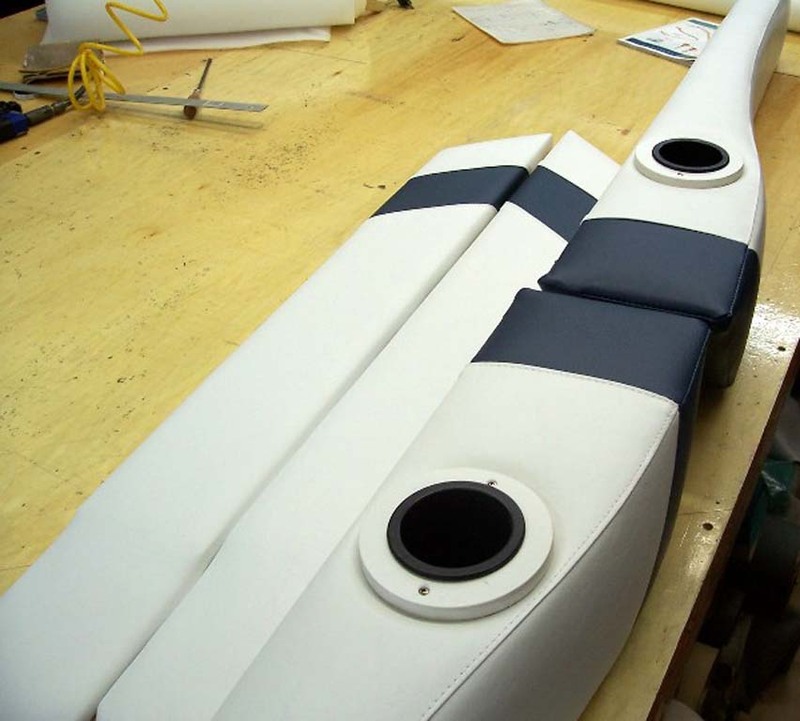 We fabricate all our own custom framework for cushions. 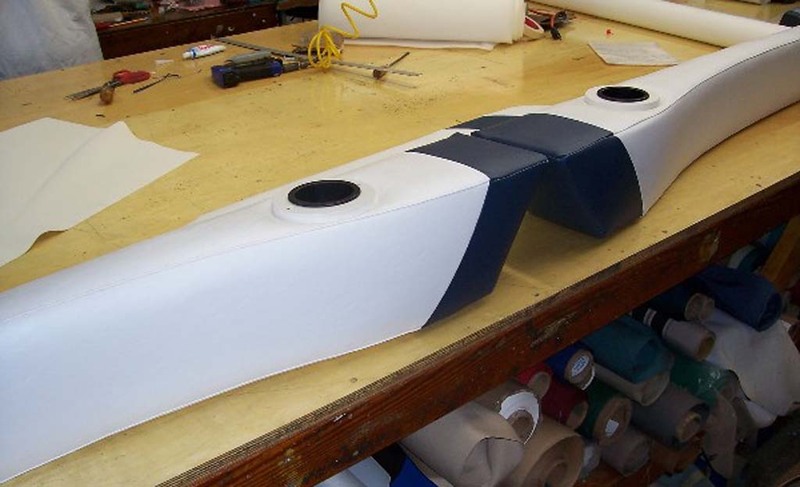 We will produce patterns from existing pieces or we will pattern new and engineer and install new and different configurations if your application requires it. 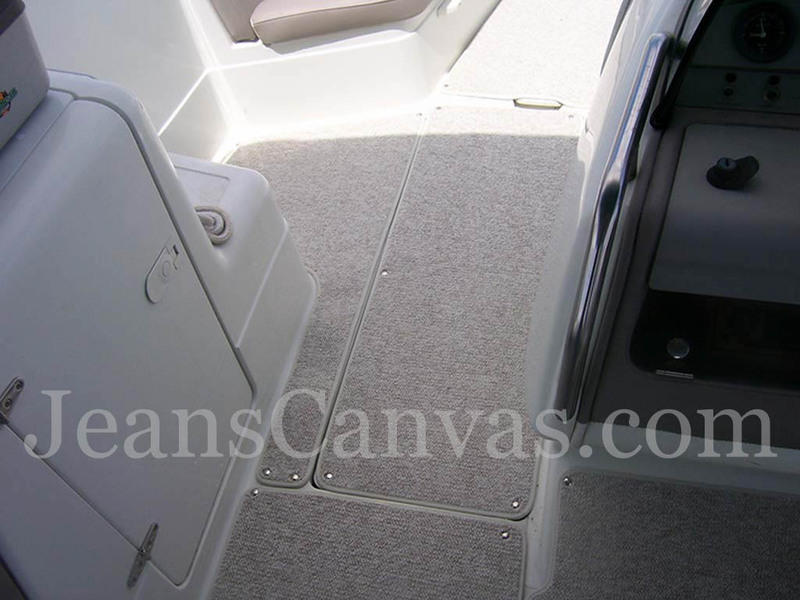 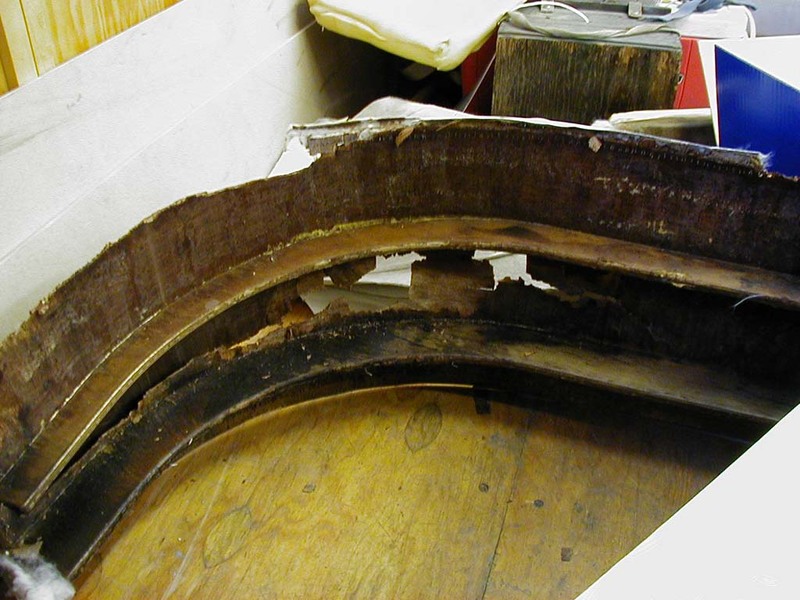 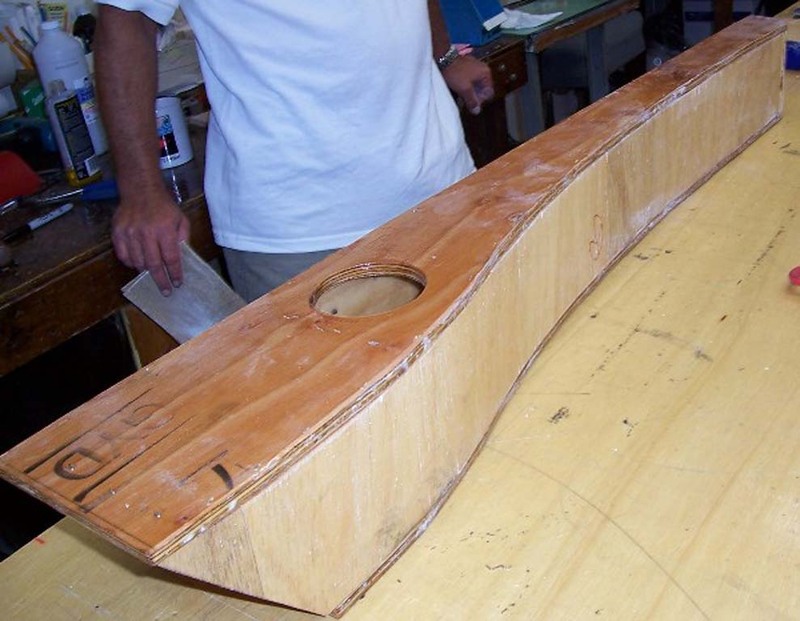 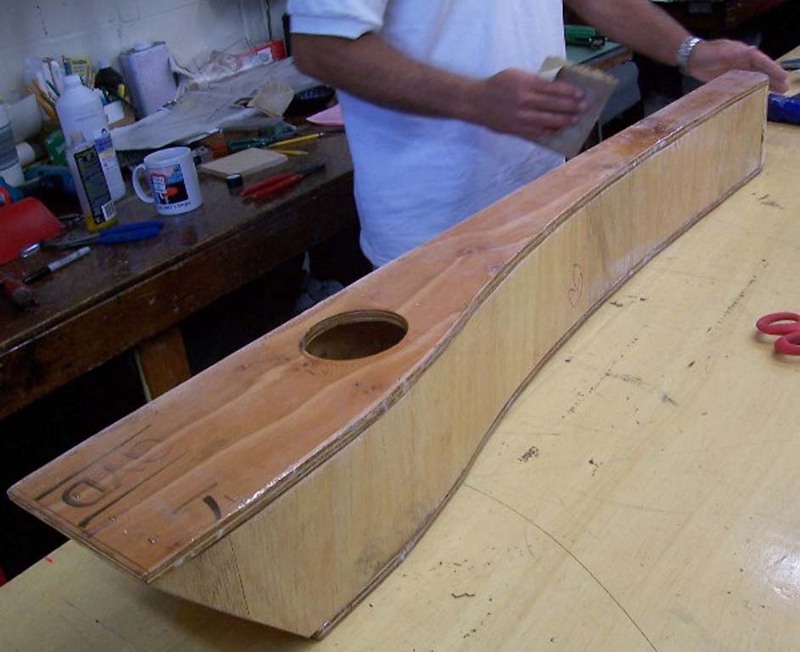 We go to every length to get your vessel outfitted to it's fullest potential.